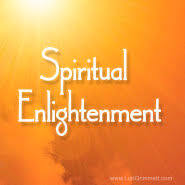 Many people ask, "How Can I Become Enlightened?" and "What is Enlightenment?" I am not convinced that either exists, but one thing I can say is that if you are asking these questions, then your journey has begun. Enlightenment is the process by which you evolve slowly over time and become self-aware. That is a process that has no end. Your life experiences will constantly be bringing you more information about yourself throughout your life. As you grow how you see these experiences will change. Little by little the old ways will be replaced by the new ways of thinking, a higher and more evolved level of understanding will emerge. Although this process can be very rewarding, it can also be very difficult. When you first set out on your spiritual path you are likely to make the mistakes that most of us do. You will want to tell the whole world about what you have discovered, you may want to point out areas in their lives that need fixing, and finally, you may think you are more advanced than some of your friends and family. It will be a humbling experience, to say the least. Over time as you grow you will begin to realize that everyone learns at their own pace and at the right time for them in their lives. If you try to impart you new found wisdom on them most likely they will not be in a place that they can receive it. Spirituality is designed this way. It is a personal experience designed specifically for each person individually. How they come to it is of their choosing and timing. While on your spiritual journey you may have some otherworldly type experiences. 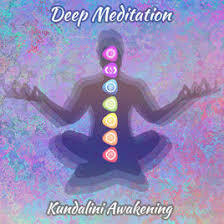 I myself experienced a kundalini awakening. It took me on years of study to try to discover what it was and what it meant. For me to think that everyone needs to have this type of experience or to think myself special for having it would be a big mistake. Not only are there many types of kundalini awakenings, there are also many outcomes from them. I believe my experience was brought on by regular mediation and chakra concentration. What I am most grateful for is that the kundalini awakening allowed me to directly experience my chakras and know that they are real. We can read about them and to some extent believe in them, but to have heard them, felt them move, and felt them being punctured as the kundalini passed through them, sets a whole new level of belief that they are real. I am very open to talking about this experience and welcome any questions that you may have on the topic. Other seekers use Vipassana retreats as a way to connect spiritually. By going to a retreat for at least 10 days and giving up all activities and speaking, they are put in a situation where they can actually hear themselves. This is a tough experience to get through. When you take away the phone, music, books, exercise, cooking, cleaning, and any other mind busying activity, something profound happens. There will definitely be some periods of tremendous emotions along with revelations about past experiences and things that you may not have had clarity on. Many actors, comedians, artists, and everyday people find this to be a remarkable experience and make a point of doing them on a yearly basis. Meditation also proves to be a good way to get to know yourself. Basically, that is really what an awakening is. Getting to trust your intuition and your ability to know what is right for you and not to give your power away to others. Whether it be medical, emotional, or financial, we can make the best decisions for ourselves if we take the time to connect to that inner source of wisdom that all of us have. So much of our lives are being dictated by the tv, ads, and opinions of others, that we lose the ability to make our own decisions. We become so attached to the media and public that we lose sight of our deepest, purest form of information. Sitting in silence just 15-20 minutes a day can reunite you with yourself. Don't worry about the mind racing and the chatter, just keep bringing yourself back to the breath and eventually the mind will comply in time. At the end of your meditation check in with yourself and ask yourself if there is anything you need to know today. Doing this daily will prove to be one of the most powerful practices you will ever do. So What is a Spiritual Awakening? A spiritual awakening is when you take dominion over yourself and realize your own divinity. When you no longer look outside of yourself for answers that are contained inside yourself. Trusting in your own knowledge and your own power. It is not an event or feeling, it is a recognition of oneself. It is as though I can feel the power of that statement as I write it. Commune with yourself and feel what it feels like to give the power back to the one who owns it.